Cougar hunting is before the legislature once again. And after sitting in briefly on a hearing of the House Committee on Agriculture and Natural Resources on Feb. 17, I have to wonder about some of the testimony I heard and the panel got in written form. Two bills before the committee, HB 2050 and 2181, would lift the ban on hunting mountain lions with dogs in counties where voters approve such an exception from the statewide ban. Proponents of the bills including the sponsors, Republican Reps. Wayne Krieger of Gold Beach and Sherrie Sprenger of Scio, say the driver behind the bills is public safety. The more cougars are hunted and killed, they say, the less risk to rural school children, livestock and pets. The Oregon Department of Fish and Wildlife, though, says that of the roughly 6,000 mountain lions statewide, about 500 are killed every year, about half of them by hunters without dogs, which is more than the number taken when dog-hunting was legal before 1994. Why are cougars supposed to be a menace to public safety now when they weren’t before even while more are being killed? 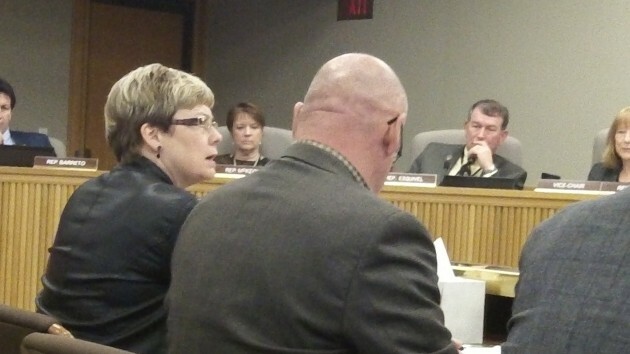 Opponents of the bills, Including Jayne Miller of Corvallis, who submitted testimony on behalf of OreCat, oppose the killing of cougars period, with or without hounds. Judging by the numbers, they should be in favor of the bills because the legislation might reduce the numbers of cougars killed. With hound hunting allowed, ODFW would once again impose short hunting seasons and reduce the number of tags. Also, hound hunting allows shooters to be selective in which cougars they kill. Once they see that a treed animal is a female that likely has cubs, they can leave her alone. That would reduce the number of orphan lions, so you’d think cougar defenders would like that. From proponents of the bills, I heard this argument: For most hunters, it’s not about killing cougars but finding and tracking them with dogs, trudging through the woods and seeing the cougar treed. But they could do that now. They could leave their rifles at home and take their hounds into the woods and run after them to their hearts’ content. If that’s all they wanted, they would not need these bills. Somehow I recall that cougars were a state problem solved with some money. Some cougars got killed and some farmers got money for lost livestock. I wonder how that went wrong? Oh. Did the state stop doing what they were supposed to do? Do we have enough state trappers? I don’t think this bill is about hunting as much as making lawmakers take a stand with their vote to educate the populace. There’s a lot of union members that hunt. Reminding them that most the Democrats are anti hunting keeps them from blindly following “union politics”. I just wanted to point out to you the reason more cougars are killed today than back before the ban on hound hunting is because we have a much greater population today. The bulging population is causing a lot of livestock loss as well as decimating game animal populations. Many of us prefer to NOT purchase any meat from the grocery store when we live in a state that should easily have the natural resources available to feed our families with all organic, free ranging venison. I do not kill for “fun” as you suggested is the case but because that is what humans are meant to do. We are predators and utilizing excess game animals for food makes a lot more sense than allowing predators such as cougars to go unchecked and ultimately wiping out deer and elk populations.